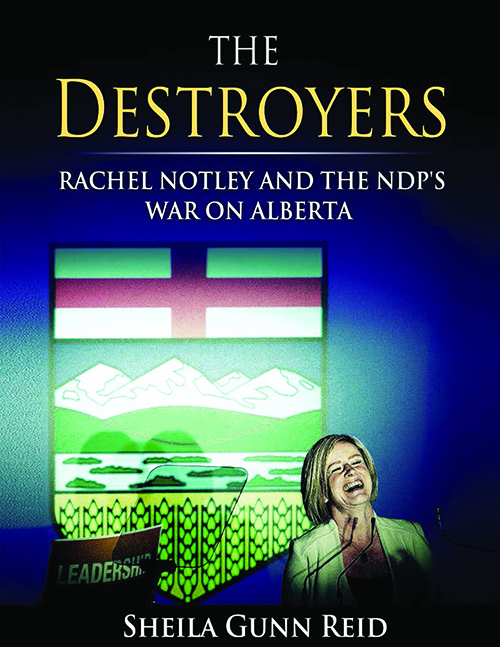 The first book from Ezra Levant's Rebel Media is about the radical background of key members of the new NDP Alberta government. It's a short, important book, and the price is right: they're giving it out for free. ...those are kids. They're juvenile by definition. But Notley's old enough to be a grandmother, and she still hasn't grown out of her childish campus-style radicalism? When a 51-year-old premier wears this sort of watch, it is rightfully disturbing. Reid continues sharing short biographies of key players, one of which is Brian Topp, the premier's chief of staff. Before taking up his new position he has previously come out against the Keystone XL pipeline, and at one point stated that if it were up to him he would force "fossil-fueled cars out of our cities." Then there is Graham Mitchell, the new chief of staff for Alberta's energy minister, who has trained activists to push for fracking bans. And NDP MLA Rod Loyola, who is an admirer of the late Hugo Chavez, and is on record saying that oil royalties should rise from 9% to as high as 60%. That's a taste of what Reid has to share. 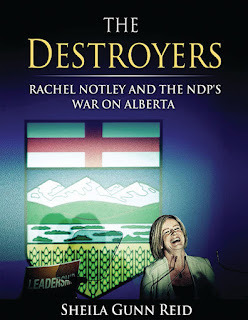 One point she makes repeatedly is that Albertans never really wanted the NDP. As an Abacus Data poll showed right after the election, 93% of Albertans thought the results were about throwing the PCs out of office, and only 7% thought it had anything to do with picking the NDP to govern. So the NDPs haven't been given a mandate to make their tax hikes, or to implement their carbon tax, or to force schools to allow transgender boys into girls washrooms. That wasn't what the electorate were voting for. They only wanted to "throw the bums out." But Albertans are going to be stuck with the NDP for the next four years. We'd best learn all we can about our new government. "The first to present his case seems right, until another comes and questions him." But this is still an important and valuable read because it serves as balance to other media outlet's equally – but less obviously so – one-sided reporting. And while The Rebel Media group does have a tendency to over-hype things, I can't recall them spreading straight-out falsehoods – we can trust them that far. That's more than can be said for many other news sources, and that's another reason this book is worth checking out. You can get the e-book for free, in several formats (pdf, Kindle and epub) by visiting www.therebel.media/thedestroyers. You do have to give your email address, but can opt out of receiving any email updates.